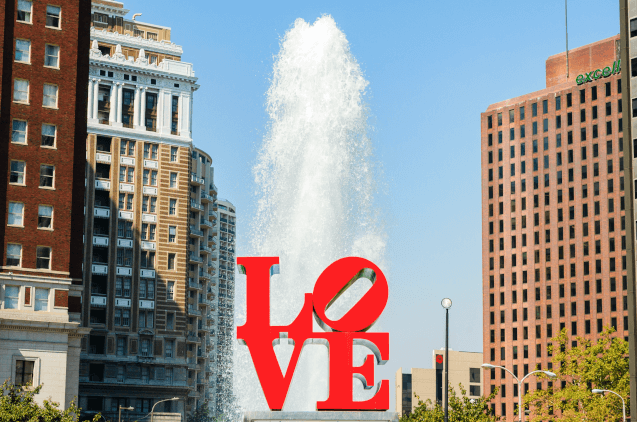 Philadelphia’s famous Love Park is reopening today, May 30th. Locals are excited to soak up the new surroundings and vibes in their favorite go to spot. The park has been under renovations since February 2016. According to CBS Philly, Love Park will be holding its grand reopening celebration today across from City Hall starting at 11 AM. Speaking of Love…. Couples will now be able to get married at Love Park. Permits are available through the City of Philadelphia’s website. What a beautiful and significant location to say your “I do’s”. RentALL Affairs is beyond excited to offer this ceremony location to our newly engaged couples. Adding a touch of décor, chairs, isle runner and arbor will surely make any ceremony unforgettable.